It was in the effort of getting permission to write lyrics to “The Peacocks” that celebrated vocalist Norma Winstone made the acquaintance of the great pianist/composer Jimmy Rowles, who had made a name for himself as the expert accompanist to Sarah Vaughan, Peggy Lee, Ella Fitzgerald and Billie Holiday. When asked who would play the piece with her, she subtly asked if Rowles himself would. The subsequent recording Well Kept Secret was the product of their one meeting in Los Angeles in October 1993 and features bassist George Mraz, drummer Joe La Barbara and a guest appearance by Stacy Rowles on flugelhorn playing inspired takes on standards. 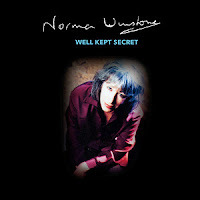 Norma Winstone is one of the most recognizable vocalists from the United Kingdom. During her nearly 50-year career, she has performed in many varieties of situations, from the improvisatory world of avant-garde to the classic tastefulness of the jazz songbook. 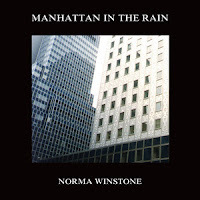 Recorded in 1997, Winstone’s Manhattan In The Rain found her alongside some longtime companions, pianist Steve Gray (of Sky fame), bassist Chris Laurence and woodwind master Tony Coe performing a wonderful collection of jazz standards, all arranged by Gray. There are some musical relationships that are just sublime. Vocalist Norma Winstone has had innumerable musical partnerships over her nearly 50-year career but none have lastest as long or have been as fruitful as the one with pianist John Taylor. 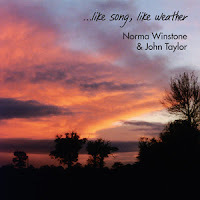 The duo’s recording Like Song, Like Weather from 1996 found them reunited performing standards and recreations of tunes by their contemporaries, including Steve Swallow, Paul Bley and Kenny Wheeler, with lyrics written by Winstone herself. An air of mystery surrounds the work of Emily Dickinson. The beloved writer spent most of her time away from the public’s eye amassing a collection of poetry that has fascinated readers for decades. 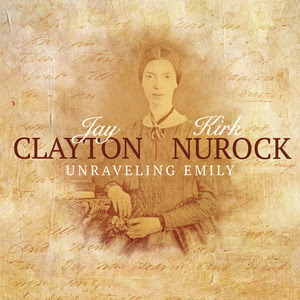 Her short, gnomic verses are a perfect fit for vocalist Jay Clayton and composer Kirk Nurock. 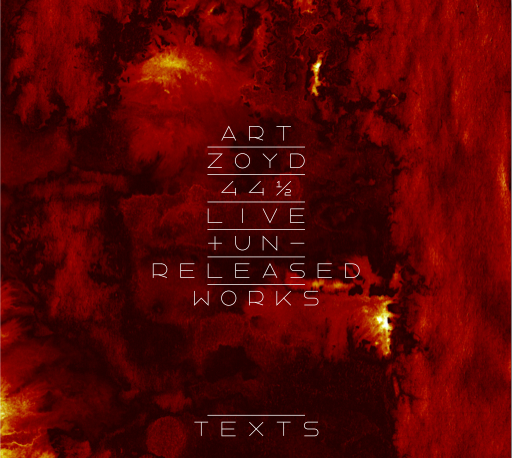 "44 ½ : Live & Unreleased Works"
"Art Zoyd can not be contained in a single adjective." You could call them the original post-rock band, moving on from the dark, stormy sounds of prog legends like Magma and King Crimson to something that makes even those fearless explorers sound conventional by comparison. You'd be equally accurate in dubbing them avant-classical composers, whose experimental visions are influenced by Stravinsky and Schoenberg. "Art Zoyd is a quartet, but their instrumental arsenal produces the sound of a mighty orchestra." They were charter members of the notorious Rock-In-Opposition movement alongside the likes of Henry Cow and Univers Zero. They're impressionistic soundtrack composers. They're a band. They're a multimedia collective. Ultimately they're simply Art Zoyd. And it takes a document as massive and monumental as the 12-CD/2-DVD set 44 ½, to be released October 27, 2017 on Cuneiform Records, to even come close to offering a comprehensive picture of what they're all about. 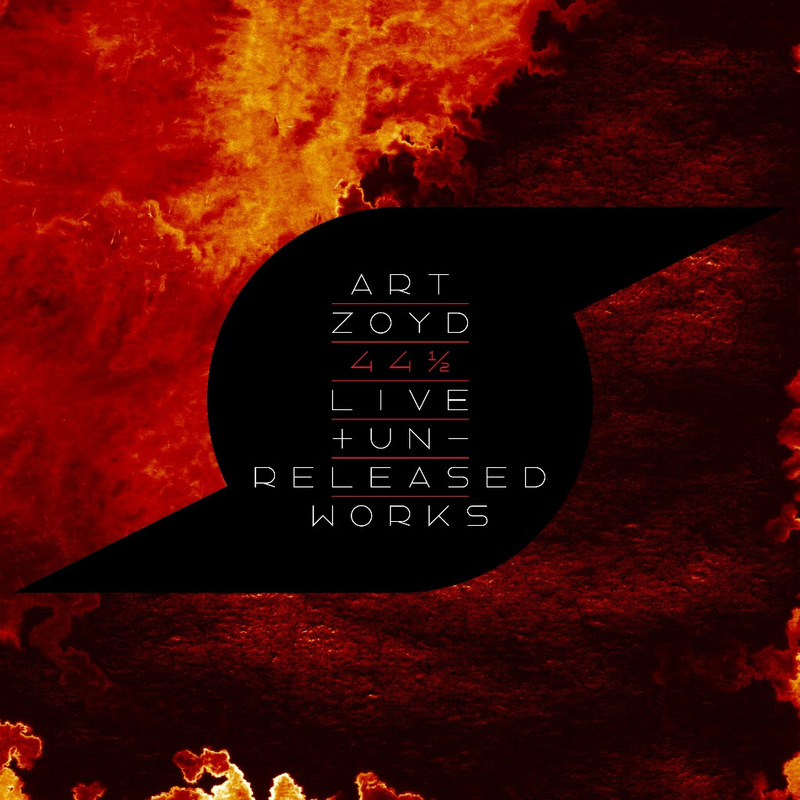 Containing hours of live and unreleased material from the vast Art Zoyd archives, 44 ½ delves into the dense jungle of wildly diverse periods in a story that goes all the way back to the '70s. But it also provides many of the missing links in their long, knotty discography, filling in the gaps between their official releases and weaving together all of Art Zoyd's disparate stylistic strands into a majestic, multicolored, even imposing tapestry. 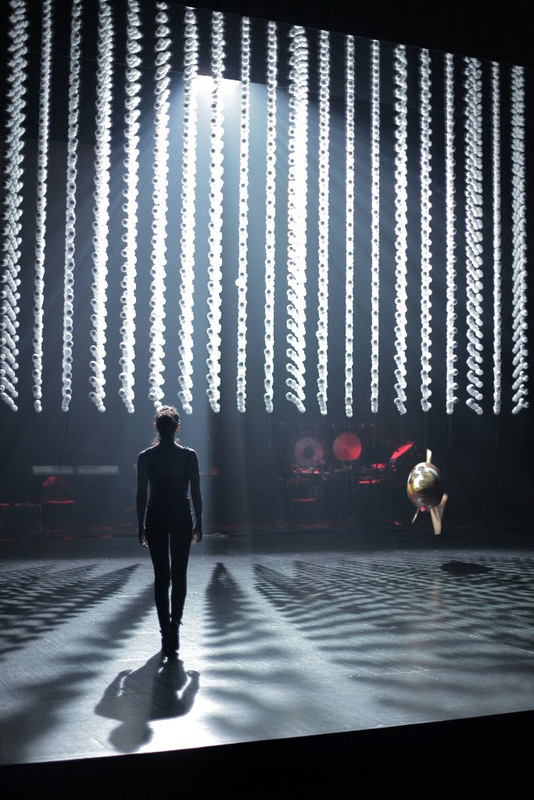 The tale told by 44 ½ incorporates everything from decades-old demos for brilliant but abandoned pieces to live recordings of multimedia extravaganzas involving film, theater, and more. It encompasses intimate trio performances as well as full orchestral assaults featuring dozens of musicians in full flight. It offers explosive industrial soundscapes and sweeping symphonic surges, quiet dread and monumental wallop, delicate acoustic chamber pieces and bustling electronic outbursts. "Art Zoyd ... is one of the most important collectives in the world - dangerous and challenging." Art Zoyd has always been a band in flux, not only stylistically but in terms of personnel as well. Countless musicians have come and gone through the band's ranks over the years, but most of them can be heard here, with core players like bassist/cellist Thierry Zaboitzeff, trumpeter Jean-Pierre Soarez, keyboardist Patricia Diallo, and violinist/keyboardist Gerard Hourbette providing the through-line. On recordings that go all the way back to 1975, this sprawling set—you can't capture the gist of an ensemble like this without going heroically deep—spotlights the multitude of ways in which Art Zoyd blazed a trail unquestionably their own. Their constantly shifting sound was even a million miles from that of their aforementioned RIO comrades, let alone anything even minutely more conventional. They've always been the left field of the left field, the maverick's mavericks, and if anything, this set underlines just how diligently they've pursued that grand idiosyncrasy decade after decade, offering new views of their evolution in the bargain. In a 1996 live performance from Copenhagen, we hear the sinister but subtle, foreboding atmospheres and nuanced textures of Art Zoyd's accompaniment for the classic 1921 silent film Haxan (Witchcraft Through the Ages). A 2000 concert recording from Maubeuge, France, finds the group joined by a 43-strong ensemble for the dense, brass-heavy orchestrations and pile-driving avant-industrial percussion barrages of the symphonic poem "u.B.I.Q.u.e." "Final," from a 1975 show in Nancy, wrings an orchestra's worth of dark, gothic-flavored sounds from just guitar, violin, trumpet, and bass, while the 2000 live reading of the wildly diverse "La Nuit Du Jabberwock from Armentieres with Belgian ensemble Musiques Nouvelles features everything from neo-classical movements to electronic minimalism and mutated funk grooves. In 44 ½ we also get glimpses of glories that were nearly lost to the ravages of time, like the previously unreleased 1990 demo for "Theopanie (Eloge de la Variete)," a piece where Art Zoyd comes off like '80s Tangerine Dream or Kraftwerk amid metronomic beats and a surprisingly linear latticework of synth riffs that would seem anomalous if the group wasn't so tough to pigeonhole to begin with. Then there's the demo for "Alabanje Kalabanza," where Eastern riffs and an urban framework come together for what could almost be the soundtrack to some bizarre crime drama. Whether they were warping centuries-old classical styles with their sonic funhouse mirror in a piece for the 1989 bicentennial of the French revolution, transforming themselves into an alternate-universe jazz trio in their 1983 accompaniment to Didier Fusillier's play L'Etrangleur est Derriere Vous, or indulging in the unabashed beauty of the piano and choral voices on "Debut" three years later for another of Fusillier's works, Terra Terra, Art Zoyd has consistently flouted expectation at every juncture throughout a long, prolific career. And now, with the arrival of 44 ½, we can finally get a long view of all their most compelling twists and turns along the way. With more than 20 albums to their credit, France's Art Zoyd are a fearlessly experimental ensemble who have always operated in a sphere entirely their own. Heroes of the Rock In Opposition movement, they've been around for so long and seen so many changes that even just a few years into their career they weren't the same band as when they started out. 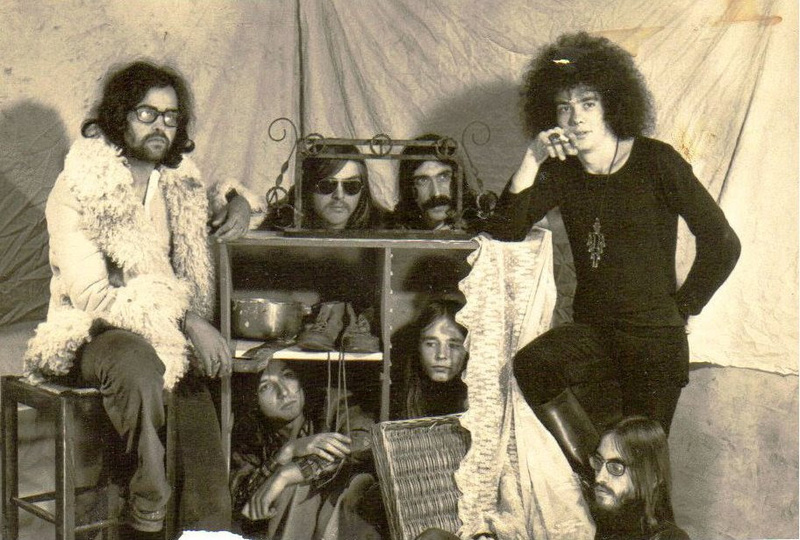 In 1976 the first Art Zoyd album, Symphonie Pour Le Jour Ou Bruleront Les Cites, was released on the group's own label, and soon the band was performing across France, opening up for their countrymen Magma. By the time they put out their second LP, 1979's Musique Pour L'Odyssee, Art Zoyd had become participants in the Rock In Opposition movement alongside England's Henry Cow, Italy's Stormy Six, fellow Frenchmen Etron Fou Leloublan, Belgium's Univers Zero, and Swedes Zamlas Mammas Manna. 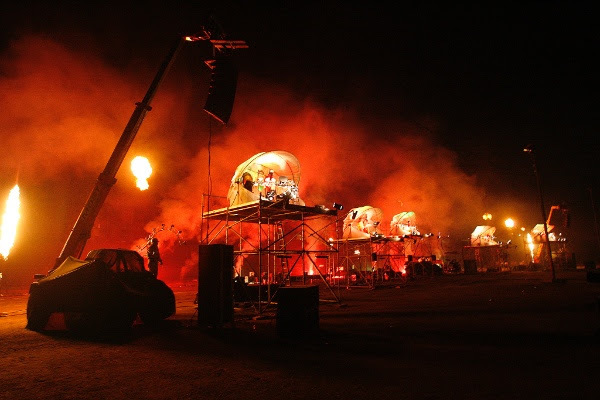 Founded the previous year, RIO was a cooperative whose members were linked by a fierce commitment to making left-of-center music and subverting the traditional methods of operation within the music business. By design it would remain staunchly underground, but would become a hugely respected and influential movement. 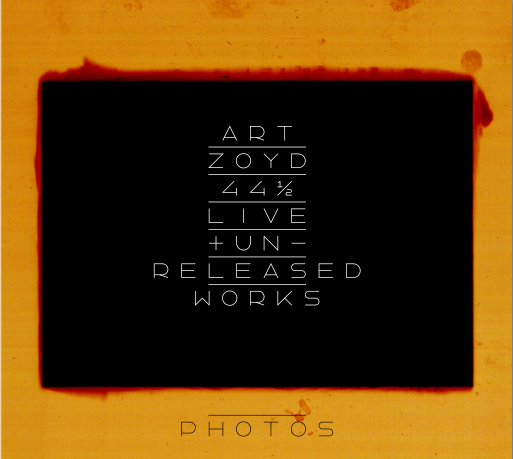 In the '80s, Art Zoyd performed all over Europe, increasing its reputation as one of the premier progressive ensembles. In 1983 a turning point arrived when they were tapped to provide music for choreographer Roland Petit's ballet Le marriage du ciel et de l'enfer at Milan's La Scala Festival and Paris's Theatre des Champs-Elysees. 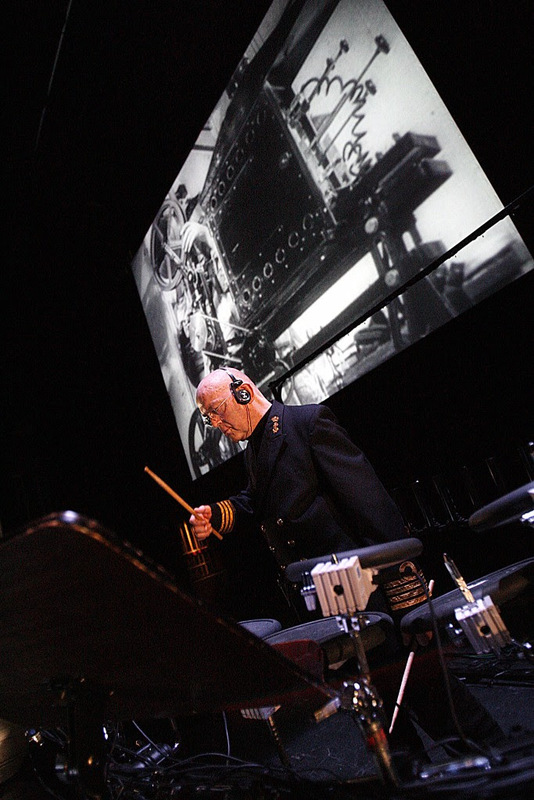 It was the group's introduction to multimedia art events, which would become a significant part of Art Zoyd's work for the rest of their career as they scored silent films, theater pieces, dance performances and more, all across Europe, gaining new audiences all the while. It was in the first half of the decade that the group crafted some of their milestone albums, including Generation Sans Futur (1980), Phase IV (1982), and Le Mariage Du Ciel Et De L'Enfer (1985). The Los Angeles bred, Paris based bassist and composer estimates that about half of the tracks were "road tested," with a few rendered completely fresh in the studio. "That's part of the concept, all the moving around and spending time on the road and working through our favorite material." 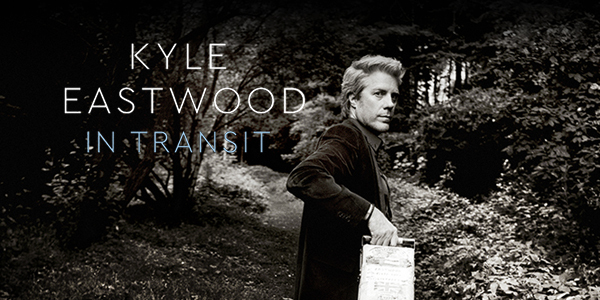 Just as on his previous two critically acclaimed collections The View from Here and Time Pieces, Kyle plays with a powerfully swinging yet beautifully soulful and sensual quintet of young English musicians. The longest-term members of Kyles powerhouse quintet are pianist Andrew McCormack (12 years) and trumpeter and flugelhornist Quentin Collins (9 years). Newer to the fold, and adding brilliantly to the shared chemistry, are tenor and soprano saxophonist Brandon Allen (who made his first appearance on Time Pieces) and the latest member, drummer Chris Higginbottom. After inviting renowned Italian saxophonist Stefano Di Battista to join the ensemble on numerous gigs throughout Europe, Kyle invited him to bring his lush and lyrical sensibilities to the Sextant La Fonderie Studio in Malakoff, France to record on four tracks of the new album. 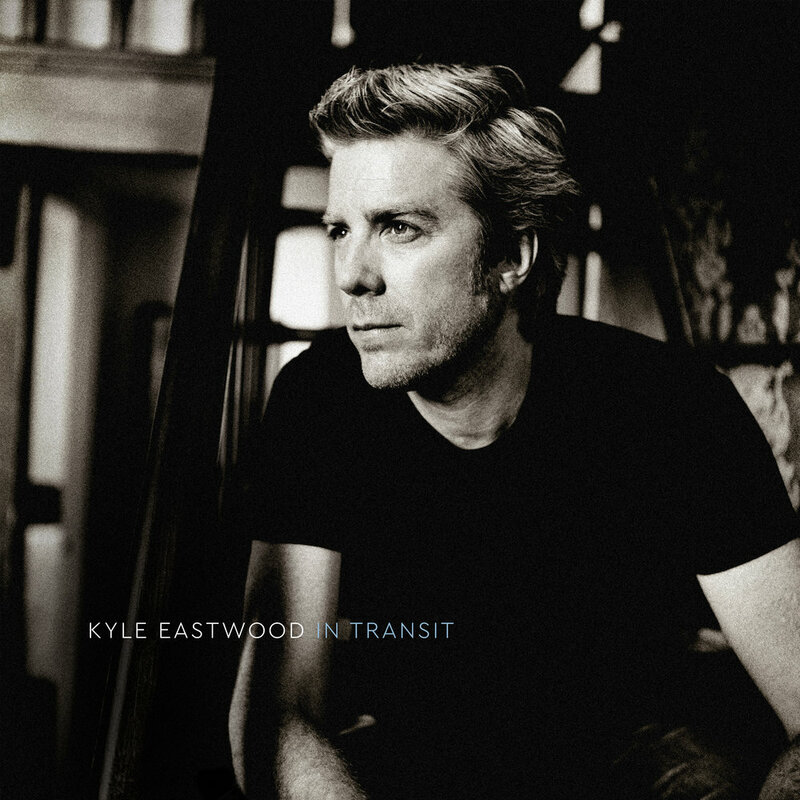 The most prominent of these is the intimate and dreamlike acoustic re-imagining of "Love Theme from Cinema Paradiso," which was penned by Ennio Morricone, one of Kyle's favorite film composers; having previously played with the great Italian composer, Di Battista brings an intimate familiarity to the piece. "We all have similar tastes in music," he adds, "and after playing together for a while have truly developed a unique musical camaraderie and dialogue that allows us to play seamlessly in sync and intuitively know just when to break for every member to take a solo." The rhythmically intense, vibrantly re-imagined jazz classics on In Transit -- Count Basie's "Blues in Hoss' Flat," Mingus' "Boogie Stop Shuffle" and Thelonious Monk's "We See" -- create a wonderful dual sense for Kyle of coming full circle paying homage to his influences while bringing those traditions into a forward thinking contemporary context. Original compositions like the freewheeling funk-jazz hybrid "Rockin Ronnies" (an homage to Ronnie Scotts Jazz Club, the bands favorite London hotspot) and the brisk, high octane trip through a frenetic "Rush Hour" highlight the compositional talents of each member individually and collectively. Other key tracks include the McCormack penned "Jarreau," a whimsical romp that pays tribute to the late great Al Jarreau, which borrows some harmony lines and chord changes from the singers "Not Like This," and "Soulful Times," a soaring and soul-jazz piece that opens the collection and introduces the ensemble's sense of easy swing, bright piano harmonies, dynamic horns and the infectious pocket grooves of Kyle and Chris Higginbottom. "I really think everyone played their pants off on this album, and I'm really happy with the way it turned out."